My husband and I, joined by our 4 year old, ate Chinese for lunch this past week. My husband was on his lunch break, and after leaving to return to work, little Daniel and I remained. Daniel took his daddy's chair sitting across from me. Across the narrow aisle were two men, obviously landscapers by profession, also on their lunch break. Daniel wanted ice cream. I got mint chocolate chip. He got vanilla with blue stripes. The landscaper across the aisle, says to his friend sitting across from him, "I don't like grapes with seeds in them." 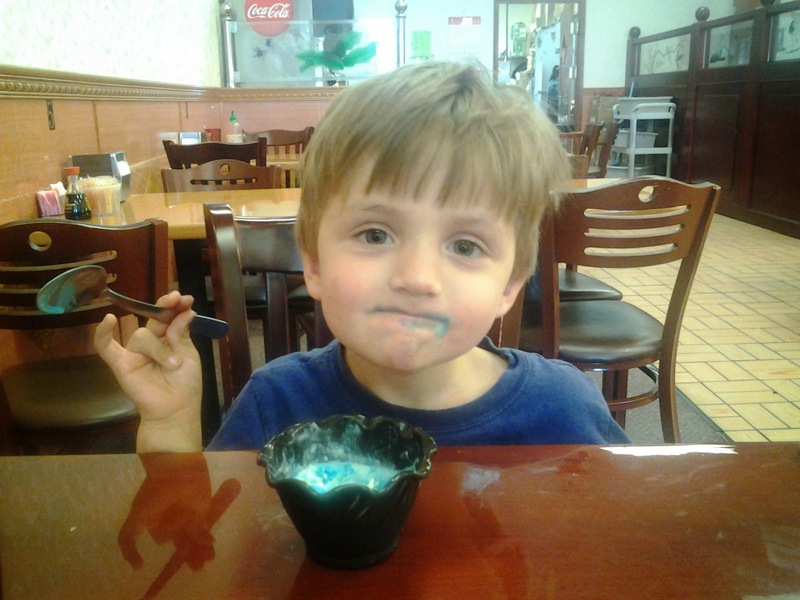 "Me eider," says Daniel, continuing to eat his ice cream.